Large, modern trumpet style table bases in a stunning Black Nickel design suitable for use with table tops up to a maximum size of 1200mm round. Available from stock for a free and fast delivery service. 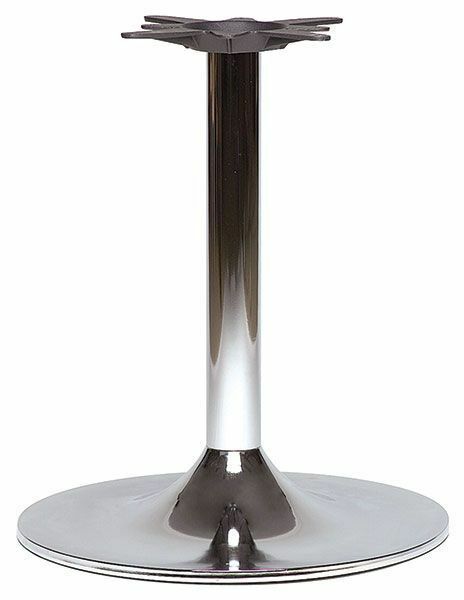 Large version off the Trumpo table base, the extra large circular foot and the weighted column allow a table top size of 1200mm round to be attached. 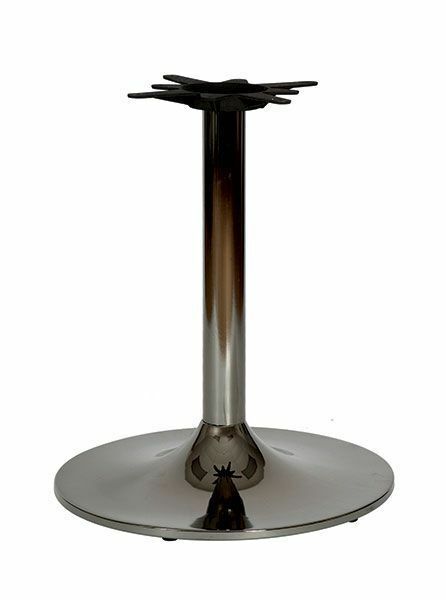 This table base sits perfectly in a professional modern interior.